We want what is best for our kids, and that means getting them the best products. When it comes to fashion and travel however, it can be tough to choose which items you and your child will love. You want them to be happy with and comfortable in whatever you choose, and you want to make sure the products are top notch. Items from Revell, Purl Lamb, and BayB Brand are sure to have you, and your kids, feeling thrilled. A struggle among many parents is finding a way to keep your child occupied during a trip. Without something to distract them, children can get fussy or even wander off. Well, with the model car kits from Revell, that fear is no longer an issue. With many kits to choose from, your child, aged 5+, can enjoy putting together a car from their favorite movie, Cars! These unique cars are built with a kid friendly nut and screw connector system, and create working headlights, action sounds, changeable mouth and eye expressions. Starting at just $24.99, you can pick up this awesome toy from Target, Meijer, Fred Meyer, Hobby Lobby or Amazon. If you’re looking to dress your child is the comfiest, yet most stylish outfit you have ever seen, then look no further. 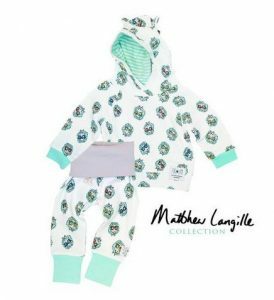 Purl Lamb’s newest collaboration with artist Matthew Langille is sure to have your child feeling as cozy as can be. With choices ranging from jumpers, to hoodies, and sweats, this collections offers many different unique designs including a crazy lamb print! The collection offers sizes 0-24, so you can keep your kids looking stylish and feeling fresh as they grow for a very long time. The key to a hassle free travel is ensuring you child is safe and warm as you move around. 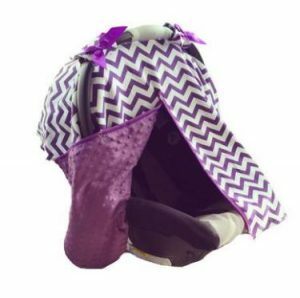 An incredible item from BayB Brand is their Car Seat Canopy. Simply place this product over your car seat, and shelter your child from any outside influences. Let your baby sleep in peace and enjoy a nice dark atmosphere as you carry them from place to place. Not only does this brand offer the canopy, but also a matching blanket. Now, your baby can stay warm and cozy in their car seat, while snuggling up with their adorable Minky Dot Blanket. For $19.99 each, you can ensure your childs warmth and protection during all your traveling ordeals. What do you think of these adorable products? Comment below!